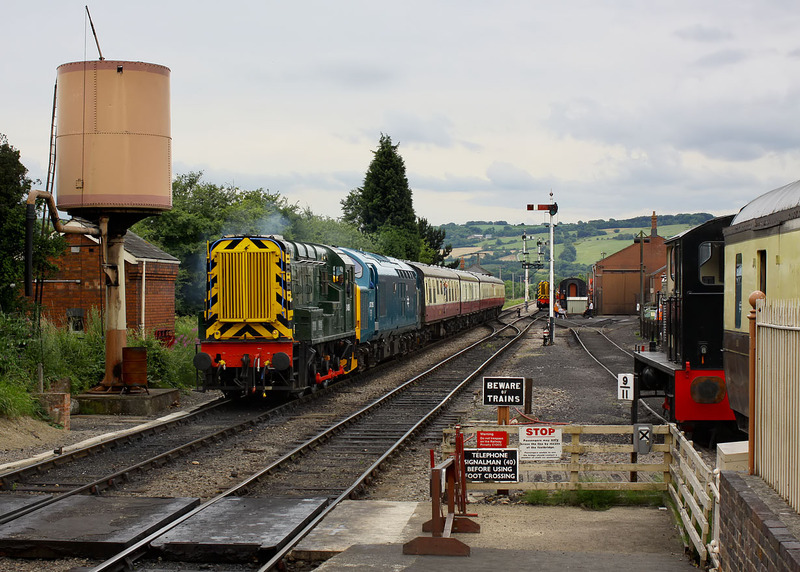 D4095 (08881) & 37215 arrive at Toddington with the 17:10 service from Winchcombe during the Gloucestershire Warwickshire Railway's 'Shunterfest' event on 10 July 2009. The 37 was being used purely as a brake translator, the coaches being vacuum braked and the 08 air brake only. In the background Class 08 D4157 can be seen, while parked in the bay on the right is Drewry Class 04 look-alike 2574 (painted as BR 11230).